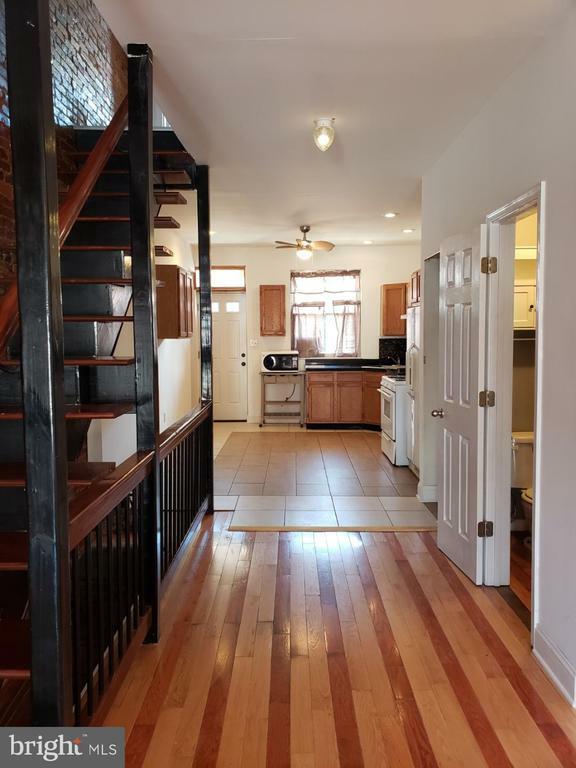 Comments: Located in the Hopkins/Patterson Park Neighborhood - This town home is suited for a homeowner or investor. Blocks from both Hopkins/Wolfe St & Broadway in one direction and Lovely Patterson Park is just blocks away. Floor plan is open with wood floors and exposed brick. Half bath on the mail level/Eat in kitchen with Natural wood cabinetry and mixed tile compliment the wrought iron railings / Full unfinished basement with good ceiling height to add more living space or rooms- Basement has a walk out stair to yard/Upper leel has 2 bedroom- full bath - laundry area and good closet space - In need of a little TLC and personal touches-- this space is ready to be called home! !